Facebook COO Sheryl Sandberg says that little girls who are told they are "bossy" should be told instead that they have "leadership potential." Ms. Sandberg's intentions are good, but she's confused about what being "bossy" really means. Her campaign to "Ban Bossy" is misguided and misses the mark. The dictionary defines bossy as "given to ordering people about; overly authoritative; domineering." Does Ms. Sandberg think those attributes indicate leadership potential? Seriously? Synonyms for "bossy" include: "highhanded, officious, dictational; overbearing, abrasive." Of the hundreds of leadership experts writing, consulting, and teaching today, I don't know any who would say that those are the characteristics of a good leader -- female OR male. 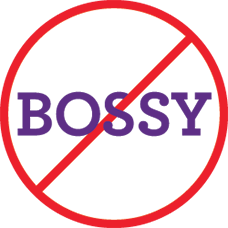 If someone calls you "bossy," they are telling you that your behavior is off-putting. They are letting you know that your attempt to get them to do your bidding is offensive, not to mention ineffective. Bossy people -- whether they're children or adults -- simply do not understand how to influence others, or how to communicate skillfully. Bossy people don't understand motivation, or what it takes to inspire people to want to follow. Bossy people are clueless about true leadership. However, being called "bossy" can actually be a good thing... IF you are open to learning from negative feedback. "Feedback is the breakfast of champions," says leadership guru Ken Blanchard. When someone lets you know that your attempt to influence others is annoying, they're actually giving you a gift. They're letting you know that you need to change your style if you want to be an successful leader. If someone calls you "bossy," they're letting you know that your leadership attempts are backfiring. And you can't become a better leader if people don't tell you when you're doing it wrong -- so you should thank anyone who says you're "bossy." "Leadership is influencing others by your character, humility, and example. It is recognizable when others follow in words and deed without obligation or coercion," says Sonny Newman, president of contract manufacturer EE Technologies. -- Business News Daily. Successful leaders get things done through others -- but not by being bossy. They get things done by motivating, inspiring, and building trust. Good leaders articulate an powerful vision that makes other people want to help create. Effective leaders aren't bossy -- they coach and teach, they empower and encourage, they respect their followers and act accordingly. "Banning Bossy" will accomplish nothing. The campaign asserts that we have a semantics problem -- but completely misses the real issue. "Bossy" means you have poor interpersonal skills -- it does not mean you have "leadership potential." If we want little girls (and boys) to grow up to be leaders, we need to teach them how to create a vision, and how to be articulate that vision. We need to teach our kids about motivation, and how to influence others. We cultivate leadership in youngsters by showing them how to play well with others. To develop children's leadership potential, we need to give them feedback on what they're doing well -- and what skills they need to improve. "Banning Bossy" is the wrong goal. "Banning Bossy" means "don't tell a girl (or woman) that her interpersonal style is rubbing people the wrong way." I understand that it may hurt her feelings to be told she's "bossy," but if we don't tell her -- and if we don't teach her true leadership skills -- how will she ever become a successful leader? 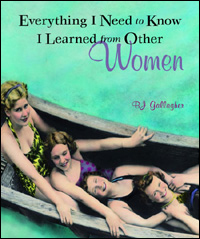 BJ Gallagher is a workplace expert and author of over two dozen books, including an international business best-seller, "A Peacock in the Land of Penguins: A Fable About Creativity and Courage," (published in 23 languages), and "Everything I Need to Know I Learned from Other Women."